Twenty-five years ago, ethnomusicologist Louis Sarno traveled from New Jersey to the forests of Central Africa to record the music of the Bayaka Pygmies. Falling in love with a Bayaka girl and her forest lifestyle, he decided to stay. "OKA!" tells the adventure of his life in Africa with his adopted family. The Bayaka pygmies maintain a tenuous balance between their traditional forest existence and their increasing dependence on the Bantu villagers. Through the eyes of Larry, the tall, ungainly white man from New Jersey, who in spite of his failing liver accompanies the Bayaka on a journey into the heart of the forest, "OKA!" 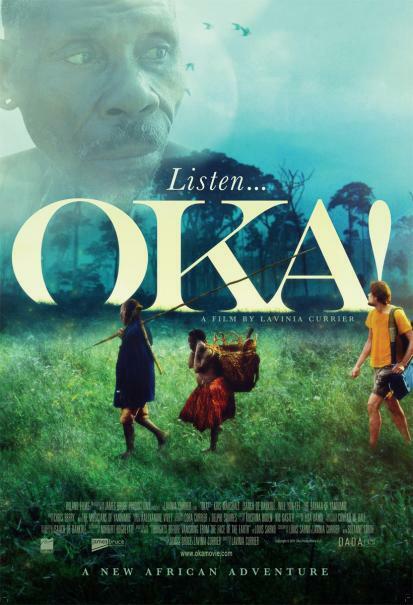 offers a unique glimpse into the music, humor, and spirit of the Bayaka people. "OKA!" 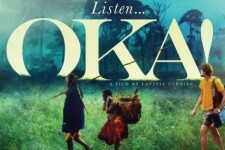 is directed by Lavinia Currier and filmed in Sango, Akka, French, and English. It is based on Louis Sarno's memoir, "Last Thoughts Before Vanishing from the Face of the Earth," and stars Kris Marshall, with Isaach de Bankolé and Will Yun Lee, and a magnificent local Bayaka ensemble cast.